Visit the best of Rajasthan as you get to explore the beauty of Rajputs and the legacy they have left behind in the form Forts and Palaces. This 11 Days Rajasthan Historical Tour package includes an excursion to the cities like Jaislamer, Ossian, Jodhpur, Ranakpur and Udaipur and all these cities are historical hub. Visit and have fun in these cities. Enjoy!! Upon arrival, check into the hotel that has been pre-booked for you. Stay at the hotel for the night. Dine and relax. Go and visit the Jama Masjid, the Red Fort and Qutub Minar in Delhi. You can also visit the India Gate and the Rajghat. We would then move to Jaisalmer and upon arrival stay at the hotel for the night. Dine and relax. The day is free to be indulged in individual activities. In the afternoon, you can also go about and visit the local markets of the place. Retire to the hotel and stay for the night. Dine and relax here. Today we would go for sightseeing in Jaisalmer and visit the Jain temples, Folk Museum and Gadisar Lake here. You can also have a look at the beautiful Havelis. Stay at the hotel or the night. Dine and relax. In the morning we would move to Ossian which is famous for its culture and heritage with ancient temples. Upon arrival, check into the hotel for the night. In the morning we would go and visit the Mehrangarh fort and palaces. You can also visit the museum it has. Visit the Clock Tower and the Jaswant Thada. In the evening explore the local markets of the Jodhpur. Return to the hotel and stay there for the night. Move to Udaipur today and on the way halt at the Ranakpur and visit the Jain Temples in Ranakpur. As soon as you arrive at Udaipur, check into the hotel which is pre-booked for you. Stay at the hotel for the night. Dine and relax. Visit the City Palace, Jagdish temple and then the Fatehsagar Lake, Sahelion ki Bari and Bhartiya Lok Kala Mandir and stay at the hotel for the night. Dine and relax there. In the morning we would move to Jaipur today by flight and upon arrival, check into the hotel pre-booked for you. Then go and visit the City palace and the museum. Also visit the Hawa Mahal and the Jantar Mantar Observatory. Stay at the hotel for the night. Dine and relax. In the morning go and visit the Amer Fort on elephant back and witness the Sheesh Mahal or the hall of Victory. Then go to Agra today, see Taj Mahal and halting in the way to visit the Fatehpur Sikri. 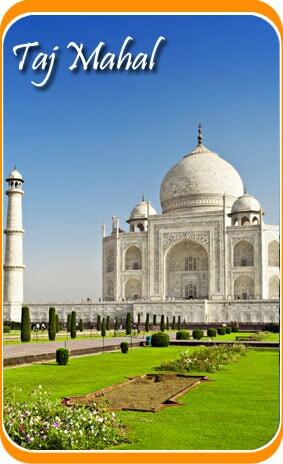 Upon arrival at Agra, stay at the hotel pre-booked for you. Move to Delhi today and then from Delhi Airport, board a flight to your home country. 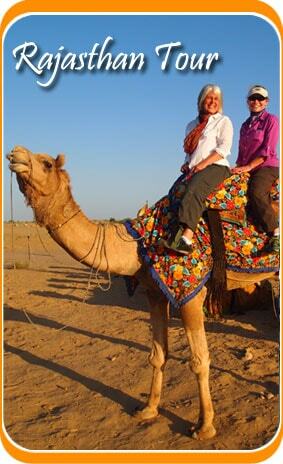 This is the end of your 11 Days Historical Rajasthan Tour.